My mom has caught on to my love of all things monogrammed. And Brody is benefiting. When I had Brayden she ordered me a toy basket from Restoration Hardware with his name on it. 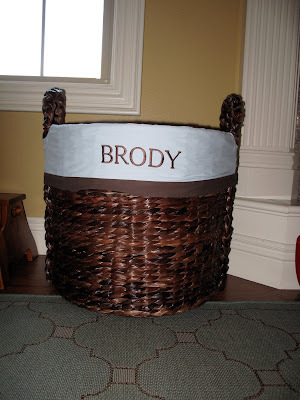 Last week, a new one arrived at my house for Brody! And then she ordered him all of these cute outfits!